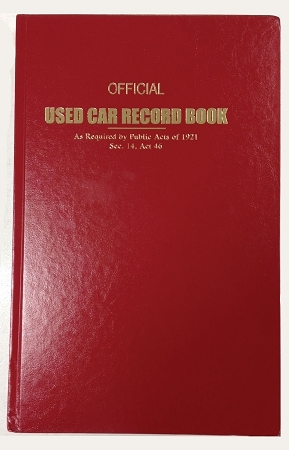 This hard cover version of the record book offers a simple method for keeping track of your transactions. This book is required in some states. Size is 8-3/4" x 13-1/2". 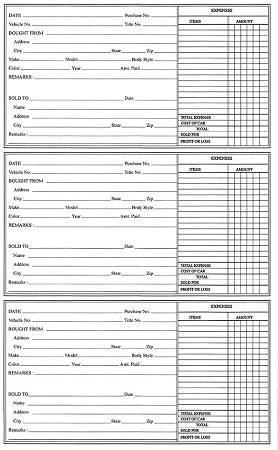 256 pages, 3 forms per page, total of 768 vehicle records. Prints in Black ink. Packaged 1 per book.